Japan and Brazil’s ties go back to the early 20th century, when the first Japanese immigrants arrived as farmers in the South American country. Brazil is home to the largest Japanese community outside Japan — 1.5 million of the country’s 205 million people identify themselves as Japanese-Brazilian, including a handful of members of the Brazilian Olympic team. But although the host countries of the current and next Summer Olympics share cultural bonds, compared to Brazil, where nearly half of people consider themselves mixed-race, multiculturalism remains elusive in Japan, where ethnic homogeneity is often held up as something to be proud of. Though Japan is home to the second-largest Brazilian community outside of Brazil, only 2 percent of the country’s population was born overseas. Compared to most other developed countries, immigration to Japan is negligible. However, despite having to deal with an aging, shrinking population, the majority of Japanese seem to prefer it this way. In a recent Yomiuri Shimbun poll, only 37 percent said they felt that more non-Japanese should be accepted to fill the gaps in the country’s labor market. Japan is home to 2.2 million foreign residents, and like it or not, a growing number of them are marrying Japanese citizens. The number of international marriages increased tenfold between 1965 and 2007, with registered new multiracial couples peaking at 40,272. Due to tighter immigration rules, the number has since dropped considerably, but marriages between Japanese and foreign nationals still make up roughly 1 in 30 unions — and around 1 in 10 in Tokyo. Some of these children, however, grow up to be Olympians — flying the flag for Japan and challenging the conventional definition of what it means to be Japanese. At the Rio Olympics, more than any before, multicultural Japanese athletes have been a notable presence in the stadiums. Here are profiles of some of these athletes — those who have given their all in Rio for Team Japan, broken the glass ceiling and possibly even opened up minds in their homeland. Also known as Matthew Baker, this 21-year-old judoka captured the heart of the nation at this year’s Olympics by bringing home the ultimate prize: a gold medal. Born to an American father and Japanese mother, Baker started judo at the age of 7, making a name for himself by winning competition after competition. Baker is in his fourth year at Tokyo’s Tokai University. The 2nd-degree black belt won bronze in the middleweight division at the World Judo Championships in 2015. Famous for his ippon (one throw) victories, Baker is currently ranked world No.1 in his division. Result: Baker won gold against Georgia’s Varlam Liparteliani in the 90 kg finals. 飛鳥 (Asuka) literally translates as “flying bird” — a fitting name for the young athlete. 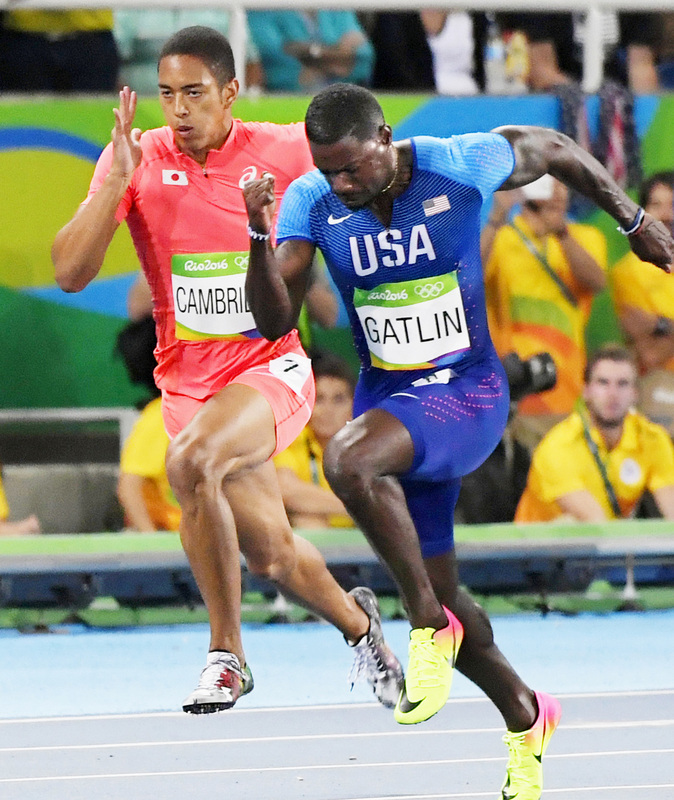 This 23-year-old half-Jamaican sprinter has been racing from a young age, representing his high school in Tokyo and later Nihon University, where he was a literature and science student. At the 2012 World Junior Championships in Athletics, his relay team broke the Asian junior record, claiming the bronze medal. A year later, the 4×100-meter relay team triumphed at the East Asian Games, setting a competition record in the process. Cambridge also won the gold medal in the 200 meters at the games in Tianjin. His personal bests are 10.10 seconds for the 100 meters and 20.62 over 200 meters. Result: Cambridge came in seventh in the men’s 100-meter semifinals and therefore did not make the cut for the final. He will compete in the men’s 4×100-meter relay on Aug. 18. 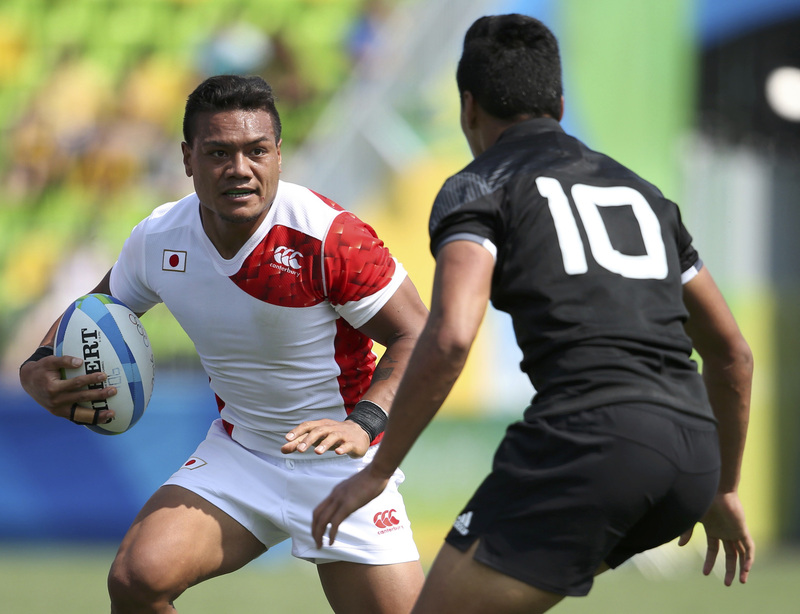 Born in New Zealand, Tongan-Japanese Lomano Lemeki has played for Japan’s sevens team since moving here in 2009. The fullback also plays for Honda Heat — based in Suzuka, Mie Prefecture — in the Top League. Lemeki and the Olympic team famously beat New Zealand 14-12 in the group stage in Rio, which he considers a true accomplishment, despite referring to himself as “one of the most hated” Kiwis at the moment. Result: Japan’s rugby sevens team lost 19-21 to Britain and won 31-7 against Kenya in the group stage. They came second place in Group C with 7 points. They went on to win 12-7 against France in the quarterfinals, lost 20-5 to eventual gold winners Fiji in the semis and lost 54-14 to South Africa in the third-place playoff, thereby missing out on a bronze medal. 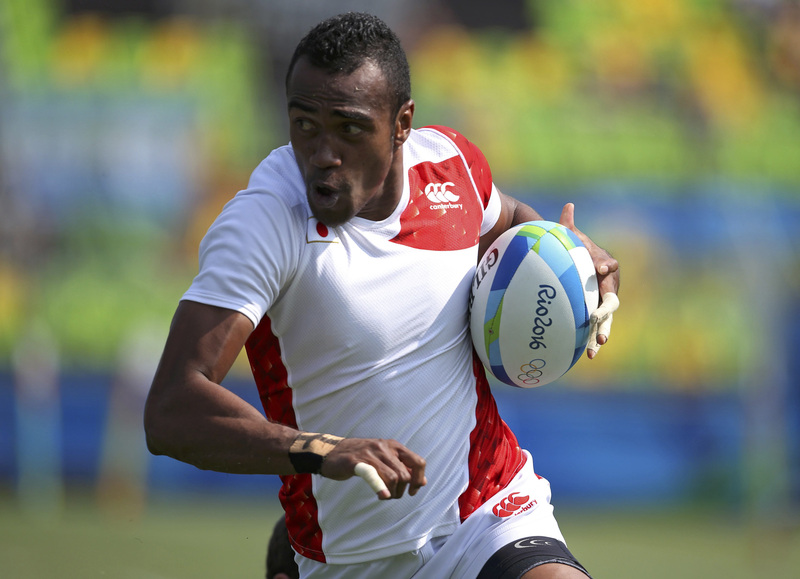 The Fijian-born Japanese international rugby union player was another big name at this year’s Olympic sevens games. After graduating from Tochigi Prefecture’s Hakuoh University with a degree in business management, Tuqiri was employed in Hokkaido and started playing for the Hokkaido Barbarians as a solid center. He made his debut for the Japan sevens team at the 2011 Hong Kong Sevens, and continues to represent Japan. The 28-year-old shares his full name with his more famous cousin, Lote Tuqiri, a wing who ended his professional career with the NRL’s South Sydney Rabbitohs. Kameli Raravou Soejima may have been the eldest on this year’s Japan sevens team at the Rio Olympics, but he is also the most successful. 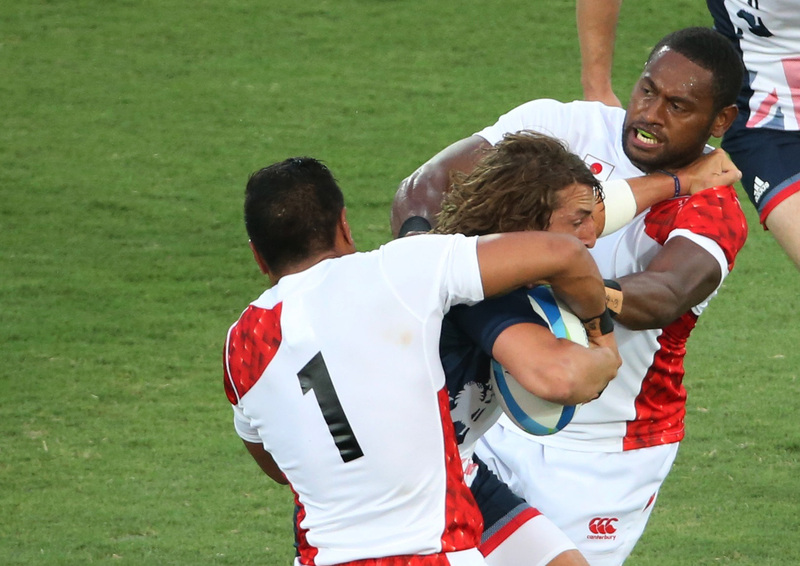 The Fijian-born Japanese rugby union player made his debut at the 2014 Dubai Sevens. Winger Soejima was Japan’s top try-scorer in the 2015-16 World Rugby Sevens Series, and continues to impress Japanese fans. 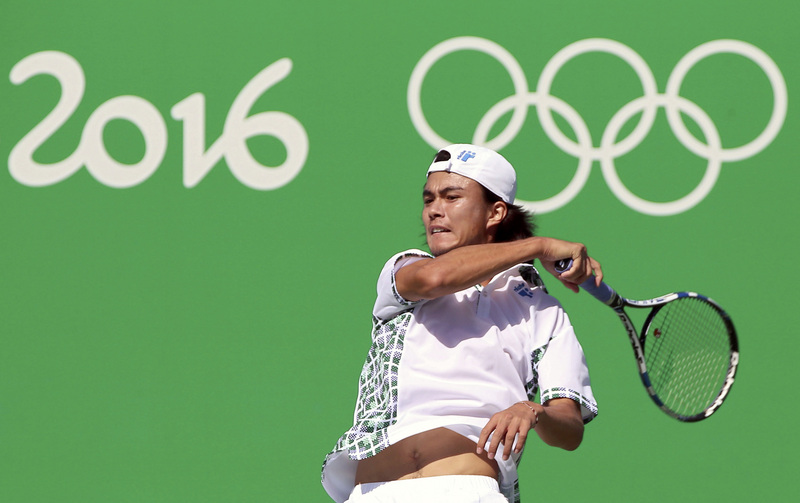 American-born Taro Daniel is another Japanese athlete who rose to prominence at the games this year. Although he grew up in various places around the world, he spent most of his elementary school days in Saitama and later attended Nagoya International School. Daniel’s passion for tennis was sparked at the age of 7, and he came third in the All Japan Junior Tennis Tournament not long after. His family moved to Spain when he was 14. Daniel was quick to make it up the ladder, raising his ATP ranking between 2011 to 2013 from No. 978 to 241. He has participated in the U.S., Australian and French Open tournaments, as well as Wimbledon. Currently residing in Valencia, Spain, his coach is former Spanish pro Jose Francisco Altur. Taro Daniel entered the ATP top 100 rankings for the first time last year, seeded 93. Result: Taro Daniel won in straight sets against American Jack Sock in Round 1 and Britain’s Kyle Edmund in the second round. He lost two sets to one to Argentina’s Juan Martin del Potro, the eventual silver medalist, in Round 3. Born in Jamaica, Musashi Suzuki’s soccer career in Japan was quick to bloom. The striker, known for his speed, grew up in Gunma Prefecture. He played for Kiryu Daiichi High School, and in 2011 his team advanced to the All Japan High School Soccer Tournament. At the same time, he was a member of the under-17 national team and attended the 2011 FIFA U-17 World Cup in Mexico. In 2012, Suzuki signed professionally with J-1 League team Albirex Niigata, where he continues to play today. As part of the under-23 national team, Musashi Suzuki managed to make it to the Rio Games this year on the back of their results at the Asian U-23 Championship in January. Result: Japan lost 5-4 to Nigeria, tied 2-2 with Colombia and won 1-0 against Sweden. They finished in third place in Group B with 4 points. Born in Tianjin, China, Asako O soars at 189 cm (6 foot 2 inches), making her perfect basketball-player material. The center currently plays for the Mitsubishi Electric Koalas. 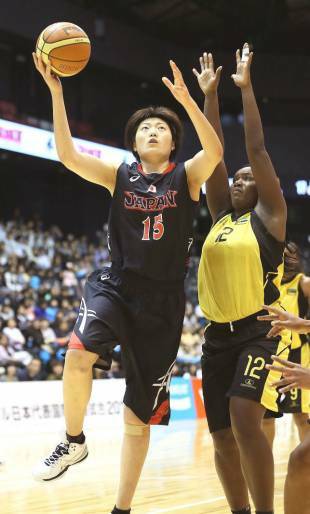 Besides this year’s Rio Olympics, she has also competed in FIBA Asian women’s championship competitions in 2013 and 2015, as well as the 2014 FIBA World Championship for Women. Result: Japan won 77-73 against Belarus, 82-66 versus Brazil and 79-71 against France. They lost 76-62 to Turkey and 92-86 to Australia. They are currently in fourth place in Group B with 8 points. They lost 110-64 to the United States in the quarterfinals. The son of famous Jamaican reggae drummer Emanuel Walsh, this sprinter has had an impressive run-up to the Olympics at the mere age of 19. Moving to Japan as a toddler, he grew up in Tokyo’s Higashimurayama. A late bloomer, Walsh only started running track in the 10th grade, and struggled to take it seriously at a school with no practice facilities and no coach. Despite only participating in two seasons prior to this, Walsh led the Japanese silver medal-winning relay team at the World Junior Championships in Athletics in 2014. He managed to graduate to the senior-level competition, leading the Asian-Pacific 4×400-meter relay team at the IAAF Continental Cup that same year. Walsh hopes to attend university in Japan and dreams of competing in the 2020 Tokyo Olympics. 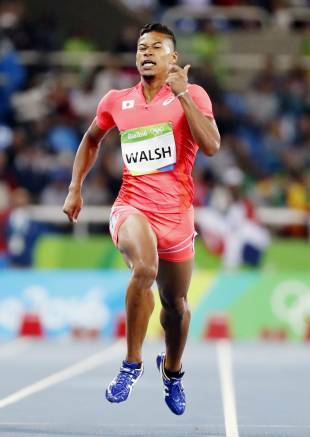 Result: Walsh placed 38th in the men’s 400 meters after the heats, meaning he didn’t make the semis. He will compete in the men’s 4×400-meter relay on Saturday. Although a left thigh injury forced Sani Brown to withdraw from the national championships, meaning he couldn’t make the Olympic team this year, he is one to look out for. Born of Ghanaian and Japanese parents in Fukuoka Prefecture, he became the first Japanese to win the IAAF Rising Star Award in 2015. At last year’s World Youth Championships in Athletics in Santiago de Cali, Colombia, Sani Brown set a championship record of 10.28 seconds for the 100 meters and 20.34 for the 200 meters, breaking the 200-meter record held by the legendary Usain Bolt since 2003. 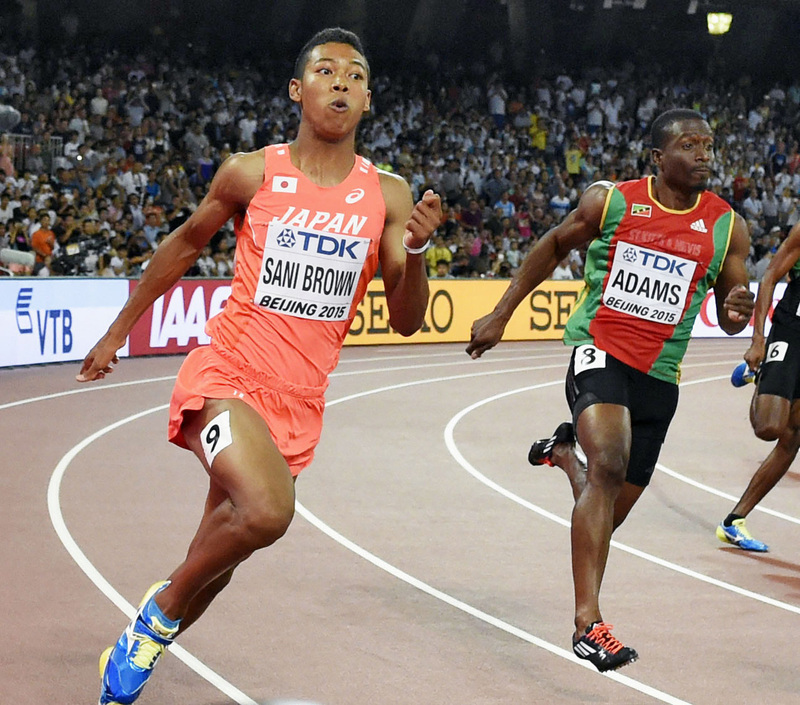 Sani Brown currently runs for Josai High School in Tokyo and is preparing in earnest for the 2020 Tokyo Olympics. Born in Sao Paulo, Chibana is a second-generation Japanese-Brazilian. Although he considers Portuguese his first language, he still speaks Japanese at home with his parents. 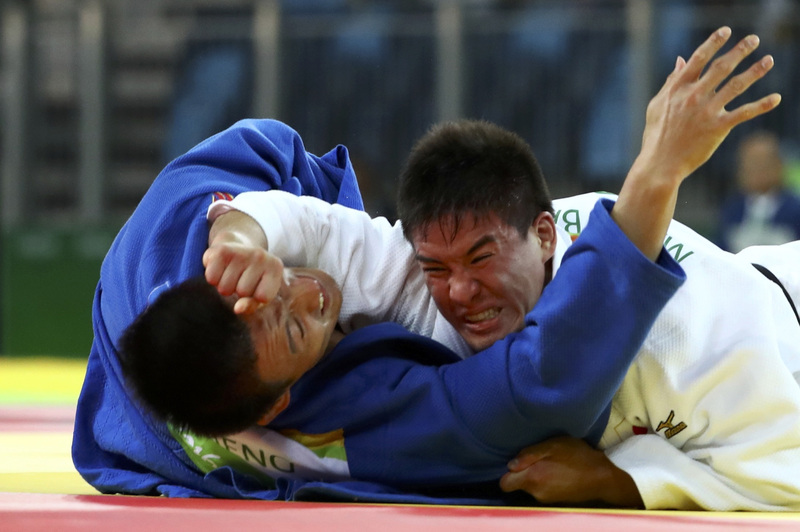 Having trained in Japan, the 26-year-old is now considered one of Brazil’s best judoka. Chibana’s team came won silver at the World Judo Team Championships in Beijing in 2007, and a bronze in the Tokyo championships the following year. He also came first in the 2015 Pan American Games held in Toronto in 2015. At this year’s Olympics, however, he lost in his first match to bronze medal winner Masashi Ebinuma of Japan. Suguimati was born in Brazil’s Goias state but grew up and studied in Saitama Prefecture. After discovering his talent for athletics, he started training in Japan, and went on to make his international debut representing Brazil at the 2007 Pan American Games in Rio de Janeiro. Suguimati qualified for the Beijing Summer Olympics in 2008 and came seventh in the 400-meter hurdles semi-finals. Suguimati’s personal bests are 21.62 seconds for the 200 meters, 46.21 for the 400 meters and 48.67 for the 400-meter hurdles. He came 29th in Round 1 at this year’s games. Sao Paulo-born rugby union player Ishibashi traces her roots back to Japan. Introduced to rugby sevens through friends, she has played for the Brazilian team for a decade now and is the current captain. She was presented with the Athlete of the Year Award in 2013 and the Best Rugby Player of 2015 award by the Brazilian Olympic Committee. Ishibashi’s sevens team won bronze at the Pan American Games in Toronto last year. At this year’s Olympics, the women’s rugby sevens team lost 3-29 to Britain, 0-38 to Canada and won 26-10 against Japan in the group stage. They won 24-0 against Colombia and 33-5 to Japan, finishing ninth overall.